Today, the United States Supreme Court upheld subsidies for individuals who purchase health care insurance through all health care exchanges regardless of whether the exchange was established by a state or the federal government. The case, King v. Burwell, is the latest ruling in a number of challenges to the Affordable Care Act (ACA). In the 6-3 ruling, the Court stated that this ruling will prevent the destabilization of the individual health insurance market into a death spiral. What does this mean to the average American? If you purchase health insurance from an exchange and meet the eligibility requirements, then you may continue to receive subsidies to help pay for that coverage. It does not matter that you are in a state exchange or a federal exchange. So, essentially status quo. What does this mean to the average employer? The subsidies available through the exchanges are the triggers for the penalties that may be imposed upon certain large employers if that employer either fails to offer coverage to its full time employees or offers coverage that is not affordable or does not provide minimum value. Had the subsidies been taken away, then employers in states with federal exchanges would likely have not been subject to the penalties because in order to be subject to a penalty, an employee would have to purchase insurance on an exchange AND receive a subsidy. Subsidies are not available to employees if they have an appropriate offer of coverage from an employer. So, if you are a large employer and were hoping that you would not be subject to the penalties under the ACA, you should review your policies and procedures to ensure compliance with the ACA. Categories: ACA, Affordable Care Act, Employment Law | Tags: ACA, Affordable Care Act, health care, health insurance exchange, insurance, subsidies, United States Supreme Court | Permalink. 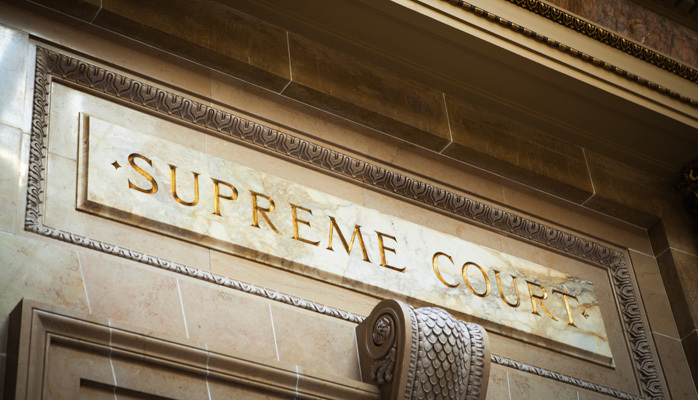 Last week, the United States Supreme Court agreed to review Tyson Foods, Inc. v. Bouaphakeo, No. 14-1146, which gives the Court an opportunity to consider class certification questions about how damages may be proven in a class action and whether a class can include members who were not injured. Tyson Foods is a donning and doffing case in which the lower court certified collective and class actions under the Fair Labor Standards Act and state law. The plaintiffs, who were hourly production workers at an Iowa processing facility, alleged that Tyson Foods did not adequately compensate them for time spent donning and doffing protective equipment and walking to and from their work stations. Although Tyson Foods did not record the time actually spent by each employee on these tasks, it added several minutes per shift to each employee’s paycheck to compensate them. Categories: Employment Law | Tags: Class Action, class certification, compensation, Fair Labor Standards Act, Tyson Foods, United States Supreme Court | Permalink.